On Friday we learned that the tumor surgeons removed, along with Brenda's thyroid, last week was completely benign. Good, good news to be sure! Brenda has spent the past week recovering from the surgery and getting ready for the birth of our third grandchild. Joanna, our youngest daughter, and Jordan Frazer, our son-in-law, are about to become parents. . .any day now! This photo is of Brenda and our dear friend and partner at CDM, Marva Epperson. What follows is a brief note from Brenda to all of you who kept us in your thoughts and prayers. Thank you, friends. You gave me a peace of mind that only comes from knowing so many good people were praying for me. On the way to the hospital I told Larry, "I am so lucky. I have many people praying for me, good doctors to take care of me and health insurance. It should be added to the necessities of life for everyone." How hopeless I would have felt if I had not been able to take care of my health problem. I know what I have said today has little to do with Larry's blog, but I just wanted to say, "Thanks!" Love and good health to you and yours. Defending the Bible? Come on. The Da Vinci Code has the Christian world rocking these days. I confess. I read the book when it was first published. I found it fascinating fiction. Most interesting. A real page turner! And, I didn't think much about it, except to recommend it as a "good read" to family and friends. Then, the church got involved, big time. Dan Brown appeared on NBC's Today Show earlier this week. His formal statement was interesting. He pointed out that the Bible had successfully withstood almost 1500 years of attack, and he didn't have much reason to think a fiction writer such as himself posed much of a threat to the good book today. I think he got that about right. Frankly, I don't know what all the fuss is about. Why are Christians and churches upset by Dan Brown's creative cliffhanger? Why be so upset about attacks on a book that only a small percentage of its purported adherents take all that seriously for the most part anyway? Until we read the Bible and begin to act on what it clearly and unequivocally declares about poverty, injustice, oppression, wealth, materialism, compassion, love, forgiveness, mercy, immigrants, welcoming sinners and embracing with tenderness all who suffer, let's just lay off Dan Brown and his book. The Bible really doesn't need defenders. Its truth is best authenticated in the lives of those who read it and take it to heart. The Bible needs people who will read it and pursue its major themes with all their hearts. You know the "red letter" type stuff, that, if followed could actually change the world. Once we get to the end of that, then we can worry about what the artists of the day might be saying. As for me, I'm looking forward to the movie. If your youth group is looking for a summer "mission project," let me suggest that you consider something a bit different this year. 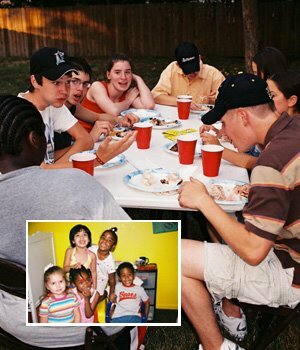 What follows is a summation of Central Dallas Ministries' summer, urban plunge experience for teens and their sponsors. Those who have experienced it tell us it is a life-changer! 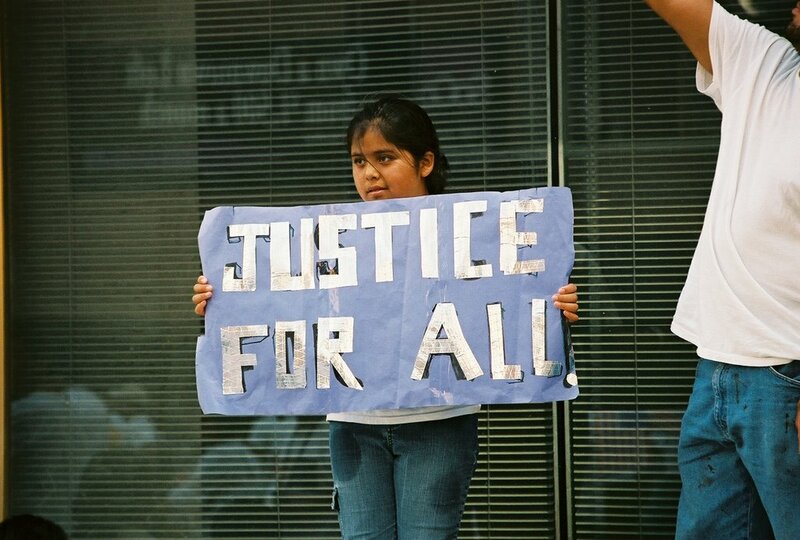 Urban Experience’s mission is to "increase the awareness of race, class and justice issues by exposing suburban teenagers to activities that reflect urban concerns." If you have a group that is interested in participating, please contact us today to reserve your spot. Dallas, along with many other cities, has a wealth of cultural enclaves that often go unnoticed by mainstream society. Through exposure to these areas, Urban Experience guides participants in discovering the richness of our urban and minority communities. Today’s society often segregates people by race, class or other factors, leaving them unaware of the issues plaguing those with whom they do not usually interact. Urban Experience seeks to help participants become more aware of urban issues in a way that challenges and broadens perspectives. Relationships are a vital part of the philosophy of Central Dallas Ministries. We have come to realize that relationships are a two-way street of giving to as well as receiving from. We realize that our friends and neighbors from the community have plenty to contribute to the process at Central Dallas Ministries as well as to our personal well-being. The programs at Central Dallas Ministries are deeply rooted in reciprocity. Urban Experience is designed to move participants beyond charity to understanding the importance and benefits of developing long-term relationships with all people. Jesus sought relationships with all people without regard to race, faith, social or economic class. In addition, the Bible regularly instructs people on how they should deal with the poor. Urban Experience helps participants explore the scriptures and connect them to our world today. Urban Experience is a 1-week urban learning experience for suburban teenagers in the 9th—12th grades. Enrollment is limited to 25 participants. Urban Experience focuses on the four major components defined above: Exposure, Awareness, Reciprocity, and Spirituality. Cost is $200 per participant. What activity this week had the greatest impact for you? "The Urban Experience opened our eyes to some of the difficulties of life that people go through." Did you have any new realizations or did you begin to look at anything differently than you did before? If so, what? "I really began to realize the complexity of poverty." "I never realized how hard it would be to be poor and how hard it would be to get out of it." Are there things you are more aware of than before your Urban Experience? If so, what? "How overwhelming it can be to have so many problems and not know where to start." If you have a group that is interested in participating, please contact us today to reserve your spot. For more information visit our website at www.centraldallasministries.org or call Janet Morrison. I Need $26 Million, Now! What would happen if people of faith and goodwill came together to do, as one of my good friends often suggests, "a big, hairy, audacious" thing about poverty? I've got one in mind. Thanks to our expanding partnership with the Baylor Health Care System and to that system's growing commitment to health equity in the community, we need more space for our Community Health Services division. We currently have three full-time physicians and two dentists that are supported by a full complement of assistants necessary to operate a first-class "medical home" for our patients. Because of a dramatic growth in patient load, our team is literally packed into a much too small clinic facility. At the same time, our Resource Center on Haskell Avenue, the flashpan of all that we do at Central Dallas Ministries, is also taxed beyond belief. We need more space for people, volunteers, storage and a re-vamped, expanded grocery store. Then there is the Downtown Dallas project, CityWalk @ Akard to provide 200 units of housing for low-income working people, including 50 formerly homeless persons. All of these factors conspire to provide us with an amazing challenge and opportunity! $750,000.00 to remodel and convert our current headquarters building at 409 N. Haskell into a clinic that would more than triple our capacity for health, wellness and healing. $1.5 to $2 million to purchase and rehab an old grocery store building or warehouse in South Dallas for use as a totally new and expanded Resource Center and Co-Op Grocery Club. $23 million to purchase and rehab the 15-story CityWalk @ Akard building for the relocation of our leadership staff, public interest law firm, Institute for Faith Health Research Dallas offices, Community Development Corporation, CDM WorkPaths program, credit union and development team. In addition, one floor would be devoted to retail development and twelve floors would be redeveloped as affordable and nine units of market rate housing. So, how on earth do we get there from here? Well, first we must jettison all negative, narrow, "can't do" thinking. That may be the hardest part of the assignment! Once we are content to live and to walk in a very large vision without any clear end in sight, we can go to work on making the deal happen. $11 million may come from the low-income, housing tax credit application that we have in with the Texas Department of Housing and Community Affairs (TDHCA) currently. If you know anyone on that board, write or call them on our behalf! $2.5 million may come from our historic tax credit application that will be submitted to the state. $1.75 million has been committed by the City of Dallas to CityWalk @ Akard. $4 million doesn't seem completely out of line as the part that could be funded by local, state and national foundations in the form of grants to meet the needs of low-income persons attempting to build better lives and communities. $3 million should come from private philanthropy, including individuals, churches and civic organizations--I can see us employing "matching dollar" strategies here to maximize the donations. $2 million should come from corporate interests. Some of this could be in the form of "in-kind" donations for materials, construction, etc. Chase Bank has indicated that CDM could expect to finance up to $6 million of the City Walk @ Akard project. However, our goal would be to complete all proposed expansion activities without needing to borrow funds. Given this projection, our total revenue comes to over $30 million. Will we be able to accomplish something so ambitious for the benefit of our friends and neighbors who find themselves at the bottom of the social and economic ladder in Dallas? I say if we can find this sort of funding for houses of worship, art museums, athletic stadiums, convention centers, public parks and green spaces and private dwellings, we certainly should be up to such a challenge when it comes to people working hard to build healthier communities and better lives for themselves and their families. I explained that we tried very hard to keep our administrative and fundraising costs as low as possible. She said that she appreciated that and then she said, "I bet there are lots of people here in Dallas who would love to help you with your mission." I responded that she was correct, there are lots of people who are eager to help us with our mission. I also explained that raising funds for longterm responses to poverty is not easy work. For many donors there is still the nagging suspicion that people are poor because of something they have done wrong or haven't done right. That poverty is somehow the fault of the poor. Raising funds for children who are ill or for hospitals or universities or the arts. . .these funds just seem "cleaner" to many donors. Raising funds for adults who are hungry, ill, addicted, unemployed and unskilled, homeless, in need of legal counsel or otherwise "indigent," is much harder. The assessments that feed the difficulty behind the challenges of raising funds for community development among low-income persons can best be addressed by personally introducing donors to those who stand in need of the assistance of a hand up, as opposed to a hand out. Part of the magic of our place is the simple fact that poor people become our friends. . .real, genuine friendships break out all around this place on a daily basis. As a result of the understanding that naturally comes from friendships, we just don't regard the men, women and children who face poverty on a daily basis as somehow impositions on our over-booked schedules or nagging problems that won't go away. Raising money to help in opportunity creation is the best and easiest work of my life. But, that is not because of some romanticized view of poverty, nor is it because I believe the poor are without personal problems or never make mistakes, but because of my connection to lots of poor people who are simply put, just my friends. A Day's Pay for a Day's Work? For years I've heard people say, "The best program for social uplift is a job." For years we've been trying to assist people in finding jobs. But, all along the truth has been quite different. If you are an unskilled worker, getting a job today doesn't solve all of your basic problems. The fact is hard work doesn't pay what it used to pay. Better, hard work pays about the same or less than it did twenty years ago. I'm going to resist the temptation here to launch out on a tirade about raising the minimum wage. I just don't think I'm up to reading posts about how that doesn't help anything since it only drives the costs of goods and services up while eliminating jobs for the very unskilled and/or for teen workers. So, today I'll just point the other direction. News of executive pay scales appears in every daily I read. Saturday's (April 22, 2006) New York Times carried a report by Steven Greenhouse noting that "chief executives' pay increased by 27% last year, to an average of $11.3 million, while that of most workers languished." Greenhouse appeared to be quoting from the special report that appeared in the same paper on Sunday, April 9, 2006 (Off to the Races Again, Leaving Many Behind, Section 3). The entire section of the paper reported on executive pay and its amazing growth at the same time ordinary workers suffered with static wages and declining benefits. The ratio of CEO pay to average worker's salary has changed dramatically since 1960 when executives averaged 41 times more than average workers. In 2004, the pay for CEOs skyrocketed to 431 times that of the average worker! I'm sure those folks have plenty of worries every day. But, '"making ends meet" is not likely to be found on their personal "To Do" lists. The annual percent change in real wages for working class persons from 2001 to 2004 reflects a downward trend while the average annual percent change in after-tax corporate profits is up well over 10%. Declining value in workers' wages is coupled today with the loss or absence of health insurance, the evaporation of defined benefit plans or even 401 K plans for many workers and rising costs for higher education. Stories about the "golden parachutes" of retiring executives, the rising cost of crude oil and gasoline, record profits among the big oil companies, etc., etc., etc., never contain any analysis about the impact of the rising costs of goods and services on those at the very bottom. Here's an interesting and sobering fact: nearly half of American children depend on a worker with a high school education or less. People who work hard should be able to earn enough to provide for their families on their own, regardless of their educational attainment, social status or skill levels. Some people will tell me that I should just stick to the business of handing out food. While we will distribute over 1 million pounds of groceries during 2006, that cannot become our major enterprise. As we work to build a genuine, powerful community of people, our goal is to attack poverty and its causes. That will include providing all sorts of other services and opportunities. It will also lead us to support organized efforts to see workers' pay increase. Years ago I started reading the writings and wisdom of Dr. John Perkins. His little book, Beyond Charity: The Call to Christian Community Development, functioned as my "second bible" during the first few years after moving into inner city ministry and organizing here in Dallas. It is a classic and well worth your reading. I regret that I didn't know of Perkins during my days in urban New Orleans. 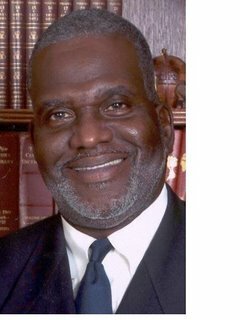 Of course, Dr. Perkins, along with urban pioneer Wayne Gordon, helped found the Christian Community Development Association (CCDA). A network of community development professionals and organizations reaching across the nation and representing every major metropolitan area, CCDA provides leadership and resources for thousands of faith-based, urban practitioners. 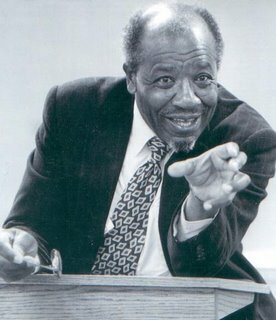 My early reading of Dr. Perkins presented one fundamental challenge: relocation. Or, as he put it, "re-neighboring." To be most effective in bringing about change in a community or a neighborhood, it helps if you live there. Part of the problem facing inner-city communities is bound up in the fact that as soon as many people reach a certain level of success or achieve adequate financial strength, they leave the neighborhood, taking their wealth and their ability with them. What is needed is reverse migration. People with financial assets and ability need to move back toward low-income communities, bringing their wealth and their talent with them. This is especially true for people who have a CCDA-type heart for urban America. Perkins and others are clear: Not everyone needs to relocate. That would not be good for the communities in question. "Gentrification" presents another set of problems for the poor. A community gentrifies when property values rise, driving low-income people out and continuing, rather than reversing, patterns of class segregation. What is needed is a healthy mix of incomes in challenging and challenged neighborhoods. Our friend Paul Jargowsky, professor at the University of Texas at Dallas, contends that when a neighborhood's population mix includes 40% living in poverty, the community "tips" toward the very negative in terms of quality of life and economic viability (Poverty and Place: Ghettos, Barrios, and the American City). Thus, the need for mixed income neighborhoods and the need for people willing to relocate themselves and their assets. Beyond the economic realities, living in the neighborhood has other beneficial results. 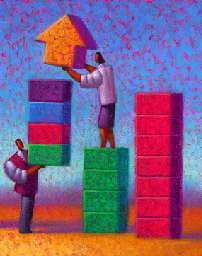 Owning or renting in a neighborhood translates to "ownership" of another kind. 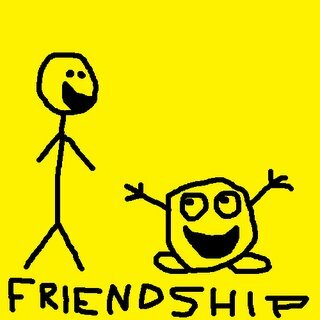 Being a part of a community opens up new relationships. 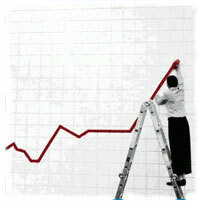 It also establishes credibility and marks out one's level of commitment to seeing things improve. Being able to witness the nature of life in a community, empowers for advocacy. It is one thing for me to speak out for folks across town. It is quite another to speak out with my neighbors about problems we face together without the option of leaving every evening. Not everyone on an urban team like we have here at CDM needs to relocate. When Nehemiah rebuilt the walls around the ancient city of Jerusalem, he had the people cast lots to determine which 10% would live in the city. Those who drew the the assignment to re-populate the city were commended by those who were free to live outside the city in their towns and villages (Nehemiah 11:1-2). Nehemiah recognized the obvious--somebody's got to live in the center of the city. Cities work best when populated by a mixture of economic classes, races and interest groups. Relocation is fundamental to renewal. . .it just is. I met William Sloane Coffin in 1981 during an international peace conference held in a church very near the campus of the University of Texas at Austin. He served as mentor and guide from afar for me, a young minister who could not understand why his denomination avoided social engagement and action in view of the values of Jesus and the Gospel. He was a powerful speaker and an even clearer thinker. He was the sort of person who moved you to act because he first moved you to think and to feel. When persons battling HIV/AIDS started showing up at my church in Richardson, I was not surprised to find very helpful resources written by Coffin. I remember a sermon he preached to his congregation at the Riverside Church in New York City titled something like "AIDS or Affraids," Coffin called his hearers to come to grips with the challenge of AIDS in the midst of the church. His entire career was about pursuing and standing up for social and economic justice for the benefit of others. He refused to allow his parishioners to hide their heads in the sand of some otherworldly spirituality that served only to disconnect them from reality and mission. Coffin was arrested in Montgomery, Alabama in 1961 following his participation in one of the Freedom Rides. It would not be the last time he went to jail for what he believed. He worked side-by-side with Dr. Martin Luther King, Jr.
Coffin stood up in support of civil rights, peace; and ending poverty, world hunger and nuclear proliferation. Coffin spent his ministry focused on missional faith. He would have had no time for "consumer" approaches to faith. He fought for peace, but was no pacifist, arguing for U. S. intervention in Bosnia. He served his country as an infantry officer during WWII. Following the war in Europe and thanks to his language skills, Coffin served the CIA in the battle against the cruelties of Stalinism. Coffin, better than anyone I've ever known, understood the inherent possibilities in the dynamic tension that exists in a minister's role as pastor and prophet. I once heard him asked how he managed to act in such radical ways and still keep his job at Riverside Church, a congregation endowed by John D. Rockefeller, Jr. He replied quietly, "When my people are sick or grieving, I visit them, pray for them and hold their hands. When they rejoice in weddings or at births or in good times, I am there with them to celebrate. My people love me and they know that I love them. So, when I stand before them, I can speak the truth." Coffin believed that courage was the greatest virtue because it made all of the other virtues possible. 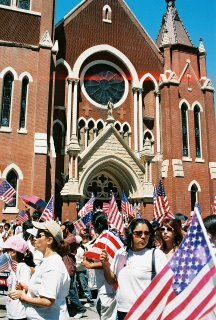 During a World Communion Sunday sermon at Riverside Church in 2003, Coffin told his audience that there was a big difference between patriotism and nationalism. "Patriotism at the expense of another nation is as wicked as racism at the expense of another race. Let us resolve to be patriots always, nationalists never. Let us resolve to love our country, but pledge allegiance to the earth and to the flora and fauna and human life that it supports--one planet indivisible, with clean air, soil and water; with liberty, justice and peace for all." William Sloane Coffin died on Wednesday, April 13 at this home in Strafford, VT. He was 81. You probably know the moment. After a long, long wait--three hours can seem like a week when you are waiting on a definitive report from a surgical suite--the doctor appears. You spot him long before he recognizes you. You are ready to hear something. . .you think. When he smiles upon recognizing you, your breath returns to your body and you try to soak up every word of the good news you know is coming. We got that good news Thursday about 3:15 p.m.
Brenda's surgery to remove her thyroid was a complete success. Dr. Gottleib believes the rather large tumor he removed will test benign. If it does not, he assures us that it will not return and that he was able to remove it all. His initial optimistic prognosis seems to be holding true. We are very grateful. . .
. . .for friends and strangers who prayed. . . .for loved ones who sat with us or dropped in to check on us. . . .for children and family who are always "there." Brenda came home yesterday shortly before noon. She is sleeping as I type. We know that moments and events like this don't always end so well. Many times the doctor doesn't smile. Far too often the tears aren't from joy and they can't seem to find a stopping place. I have given up attempting to understand these things. It is not in me anymore to be philosophical or theological or even theoretical. I'm just thankful. And yet, I'm mindful of both blessing and loss in this life. My good friend and partner here at Central Dallas Ministries, Gerald Britt serves as our Executive Director. What follows are exerpts from his introduction of Congresswoman Eddie Bernice Johnson at our 11th Annual Urban Ministries Prayer Event earlier this week. Ms. Johnson introduced Senator John Edwards, our speaker for the morning. I thought Gerald's opening remarks were powerful and more than worth sharing here. This is a particularly inspirational event: over 1000 people, representing the business, political, religious, non-profit communities and beyond, in fellowship and in concern with the working poor of our city. . . .
At Central Dallas Ministries, we have bent over backwards. . . [to make]. . .this affair non- political. But, at the end of the day, while this event is non-partisan, it is political. First of all this is true, because, as Aristotle says, we are political beings. Secondly, it is true because politics is further defined as the process through which we determine the allocation of resources: who gets how much of what, where and when, so the focus of our gathering this morning is indeed political. Central Dallas Ministries is proud to try and bridge the gap between the “isness” of hunger and the “oughtness” of the politics of bread. During the month of February alone, our food pantry saw more than 3,500 people in need of groceries! Just think what that number of people would be if more people knew about us! But, we are not limiting our efforts to our food pantry, as great a job as Terry Beer and our staff are doing. . . . just this year [CDM] acquired a new program. It is called Nurture, Knowledge and Nutrition. With this program we intend to combat basic issues of hunger in our school children. This year, in February, we served 633 children almost 9000 snacks in at risk after school programs in 17 sites throughout Dallas. The number of children served exceeded our target of 500, and we project that the number will exceed 700 this month. Yet currently, only ten percent of the children who need this program take advantage of it. And there are so many of you here this morning that could make a difference by helping us help them. And so this morning I’m going to make a deal with those of you here, in a position to help: if you start an after school program (or if you have one), in your church, community center, or if you have an child care program, or a Vacation Bible School program; Central Dallas Ministries will remove the major financial roadblock to getting these programs underway. . .we will provide your food, free of charge! But I will also make you another commitment. We will keep on working on the politics of bread. This afternoon my wife, Brenda will have her thyroid removed. Her doctor fears that the tumor he discovered last week is malignant. Of course, he is extremely optimistic about her prognosis given the way thyroid cancer usually goes. He plans to remove it completely, "sweep things up," as he puts it, with radioactive iodine and she will be good to go. Sounds simple enough, huh? She will be in the hospital overnight and then in recovery at home for about a week. We are praying that all of this is exactly what happens. We also are praying that the tumor is not cancer, which is possible. The entire episode is a bit unsettling because of her bout with colon cancer about three years ago. She beat that successfully. I am sure she will do fine with this situation as well. She is a "tough cookie," to quote my good friend, Dr. Jim Walton. On top of this, our youngest daughter, Joanna, is poised to deliver us our third grandchild any day now! Brenda is most determined not to be in surgery or the hospital when little Owen arrives! But, do pray for our family today when you have a moment. We will all be most grateful. Senator Edwards and Our "National Community"
Yesterday morning former North Carolina Senator John Edwards spoke to a crowd of over 1,000 at our Annual Urban Ministries Prayer Event. The audience appeared almost spellbound by his words, even those who didn't agree with all that he said. The room was focused, attentive and responsive. We tried our best to keep the event non-partisan or at least bi-partisan. Our very effective, Republican County Judge Margaret Keliher offered the invocation and thanks for our meal. And, Mr. Edwards warned us each time he brushed up to the line of partisan politics, always bringing a laugh to the crowd. But, I think it is fair to say, his speech wasn't about partisan solutions or politics. Senator Edwards spoke powerfully about what he believes are "American values." For him the problem of poverty presents our nation with a "moral crisis." Referring to the aftermath of Hurricane Katrina and to the plight of persons of color in the United States, he said the situation shamed our nation around the world. He boldly declared that the stereotypes peddled about the poor are simply not true. He said at one point the notion that low-income persons are lazy is simply a lie. His presentation was inspiring. The content was straightforward and moving. Community--he spoke strongly about the recovery of a "national community"
I was fortunate to have two occasions, during what turned out to be a rather long day, to visit one-on-one with the Senator. But it's not just because he is charming and charismatic. He is real. He is down to earth. He listens. He believes deeply what he is saying. He comes from his heart and he obviously has the intellect to make the connections between head and heart that will make our nation stronger. His leadership at the Center on Poverty, Work and Opportunity (for which he works tirelessly) at the University of North Carolina is no front for his future political aspirations. It is what he calls "the work of his lifetime." The fact that he is only major political figure talking about these rather unpopular issues in this way confirms the authenticity of his personal mission. And I can tell you he will not stop his conversation. At one point in his speech yesterday I realized just how real the guy is. He talked about how segregated the United States remains today. We live separated from one another for the most part--divided by class, race and ethnicity. He has some ideas about how to overcome this situation. "This is not good for any of us. This is not good for America." Over the past 12 years living and working in inner city Dallas, I've learned he is right . To read a story in today's Dallas Morning News, click here. My 2-year-old grandson, Wyatt, just like his 4-year-old sister, Gracie, brings me much, much joy. We hit it off pretty early on, actually. Maybe this is the way of grandchildren and doting grandfathers. At any rate, Wyatt and I are fast friends, real good buddies. Over the past weekend, Wyatt and Gracie spent the night at our house. These are always great times, and this visit was no expectation. Saturday morning after breakfast I stepped into my bedroom. Wyatt was playing in the den. Shortly, I could hear him coming my way. "Granddad? Where are you?" he continued. It didn't take him long to find me and we enjoyed a laughing good time in the discovery of my whereabouts! My routine kicked back in. But Wyatt's question stuck with me. It is a good question, isn't it? It is a question that has the fortitude, the substance to carry you on a ways in life. I mean, to Wyatt, where I am matters a lot. At this point in his life, it is crucial for him to know and to understand exactly where I am physically, geographically. But, there will come a time--if it is not already here--when he will need to know and to see where I am from many other important perspectives. My little buddy has no idea just how accountable his life and his questions keep me. Someday I will tell him. Until then, I guess I will need to show him. One thing I do know. I need to be present in his world, and that of his very special big sister, so that they can know and count on the fact that wherever I am, I am there for them. My relationship with Wyatt and Gracie reminds me of just how important the connections between fathers and grandfathers and their children and grandchildren are for community health and progress. Poverty serves up formidable impediments to these essential connections. Men who have to put in many hours to provide for their families, face unique challenges as they work to stay connected to their little ones. Of course, this is true of men who earn a better living as well. They are well acquainted with long hours as well. It may be that in this common intersection we discover a very unique space where low-income and middle- and upper-income men can meet and connect and help one another with this fundamental assignment--the assignment of simply being present for our children and grandchildren. Peeling away the excuses, whether poor or rich, helps bring focus to our most important priorities. We can make excuses endlessly, but they just don't hold up in the face of Wyatt's very important question. Making sure he knows the answer is very important. . .
. . .important to him. . . .important to me. . . .important to our community and its health. Anything I can do, any action I can take to provide an answer to his question will help me know better how to engage and build the community I care so much about. I've learned to keep Wyatt and Gracie "with me" during every day. I need them "with me" to answer Wyatt's question for myself. Taking people seriously--whether as powerful, asset-laden members of a community of interest or as partners aligned to affect needed change--is the essential first step in any blueprint for community development. Community development is all about people and how we regard them. Once we come to regard "the poor" as valued participants in the process, our overall perspective changes in a radical way. When we regard our own assets and resources as gifts placed at our disposal only to be shared and combined with the gifts and the wealth of others, our ability to act in a brand new and amazingly creative fashion kicks in, to the surprise of everyone involved. Taken together, these first two steps in community development combine to provide an equally beneficial and necessary component for change and growth. I call it the essential paradigm shift for community development. This new paradigm for community development takes a rather bleak view of traditional charity. Charity tends to linger with the negative. Charity leads us to think in terms of projects rather than people. Charity seeks to set limits on our efforts--time, schedules, artificial categories, coming and going. Charity can masquerade as community. But, charity is always found out. Charity can create unhealthy dependency. Charity robs people of the power they need to escape poverty and to enjoy genuine community. Charity can become a rather sophisticated way for people with most of the power to maintain control of it to their own advantage, all the while they appear to be "doing good." At heart, charity remains negative. Charity focuses on problems, programmatic reactions and human limitations. Charity operates out of a paradigm of resignation. Charity maintains the status quo. It seldom invites those with "the problem" into the mix. Charity is not about solutions, but settles for temporary relief, acting in a manner that assures the need for its return at a predictable time and in a predetermined manner. The new paradigm of community development believes in people. This worldview exalts people--all people, but especially those who are defined as "the poor." The community development model I have in mind, not only recognizes the power, purpose and value of people, it actually likes, enjoys and cherishes relationships among all kinds of people. The sure sign of the presence of this new paradigm is when "the poor" are enjoyed, not because they are poor, but without regard to their economic status and simply because they are human. It is out of this "paradigm: positive" that creative new approaches emerge for the good of the whole, for the community. From this new starting place, we can operate out of our faith in what is possible. We can respond to huge problems with big, surprising initiatives. We do not need to feel confined or limited in any way. The past may be a useful teacher, but we refuse its advances as our master. We believe that change is not only possible, it is mandated by our view of one another and by our belief that change must occur for the good of everyone. Traditional roles and strategies do not bind us. The limitations of religion or politics or culture or history or expertise, none of these factors restrict us. Rather, each opens up new possibilities for consideration, partnership and action. We firmly believe that change can occur and that together we will see it through. This is the essence of genuine community development. Reflections on a bright Easter morning. . .
What will the Easter faith mean today. . .for me? At times what I write in this space upsets some who visit. Not long ago a semi-regular reader told me, "I can't read you every day. Your words make me feel too bad. You wipe me out!" His message was clear. I know I can come across as too intense. And, that concerns me. I struggle with what people think and how my words affect those who read them. Part of the problem I have relates to solutions or the lack thereof. I write about what I see. Most of the time I don't have any idea what to do really. It's just that I cannot turn away from the pain and struggle that I observe day after day. Facing darkness is important. Even when we can't always see our way through, the first step is to refuse to turn away. We keep trying to find solutions, actions that make sense--we work hard at building community responses. But we must keep describing what is here. So, in the pre-Easter darkness, as we wait, what follows is offered as material for meditation. Recently, America's Second Harvest (the organization that supplies food for a national network of food banks devoted to attacking hunger in the United States) interviewed 52,000 people who use the services of its partner agencies. Twenty-five million Americans use food pantries like the ones we operate in inner city Dallas. Included in this number are 9 million children and 3 million senior citizens. Forty-five per cent of those interviewed said that they often were forced to choose between buying groceries and paying for utilities and heating fuel for their homes. Thirty-five per cent noted that they often had to choose between using their limited funds for medicine and medical care and purchasing groceries. The study reported that 31.5% had been forced to choose between food purchases and paying the monthly rent on their homes. We see some of these people every week at our Haskell Avenue Resource Center. We receive almost all of our groceries from the North Texas Food Bank, the America's Second Harvest partner here in Dallas. On an average day we visit with approximately 200 families about their food and financial needs. The vast majority of those who visit us come from working households or are retired after a life of work. Poverty is very real in the United States. Millions of our neighbors face it every single day. Poverty is a thick darkness. It must be faced to be overcome. In the darkness before Easter reflect on this poverty and its negative power. For resurrection to come to inner city communities, we must rediscover an intensity that leads us to act with compassion, as we work for a renewal of justice in our land. When you begin to take the power of people--all people--seriously, it is a short step then to reevaluating how you regard your various resources, relationships and opportunities. Taking people and their power seriously led us to value highly the benefits of open-handed. . .
Over the past twleve years, we have learned the benefit of remaining open to working wtih almost anyone who demonstrates a commitment to improving life in the city. At the same time, we have learned that strong partnerships depend on our being willing to hold all our resources loosely so that, when necessary, we can release them for the good of our friends and partners. Several years ago I heard Lizabeth Shore speak here in Dallas. In one of her speeches she clearly distringuished between collaboration and partnership. According to her, collaboration is when a group of people agree to meet on a regular basis, say once each month, to discuss some community issue or concern. They spread out their agendas and their notebooks. They meet for longer than they really should. Then, they pick up everything they brought to the meeting, agree to meet again at some appointed date in the future and they leave. In between meetings nothing changes. By contrast, a partnership is when people come together, recognize a common concern or issue, make clear commitments as to how to see things improve and when the meeting is over everyone leaves something of real and meaningful value on the table for the benefit of the of entire group and its agreed upon mission. Everyone contributes, surrenders something. Over the years here at CDM, we have enjoyed some amazing partnerships. From our beginnings in 1988, we have teamed up with the North Texas Food Bank in the distribution of millions of pounds of food products to low-income families in need of assistance. Without the food bank our organization would not be what it is today. Our Community Health Services division would not be what it is today without our deep partnership with the folks at the Baylor Health Care System and the physicians at Health Texas Provider Network. Dr. Jim Walton, Chief Health Equity Officer (don't you love that job title?) for the entire Baylor system, has played a remarkable role in our partnership to improve community health and wellness in several inner city neighborhoods, with more plans for expansion on the drawing boards. Five years ago we formed a partnership with the Dallas County Medical Society, the Dallas Academy of Medicine, Heatlh Texas Provider Network, the Baylor Health Care System, the Dallas Fort Worth Hospital Council, the University of Texas Southwestern Medical Center and the U. S. Health Resources and Services Administration to bring Project Access (PAD) to Dallas. PAD involves several hundred doctors and almost 20 hospitals in the creation of what has become one of the most effective referral networks in the nation for delivering high-quality medical services to the uninsured, working poor. Complicated, demanding, challenging and exciting, PAD has been worth the effort. Wonderful friendships and the work of healing have resulted all across our city. 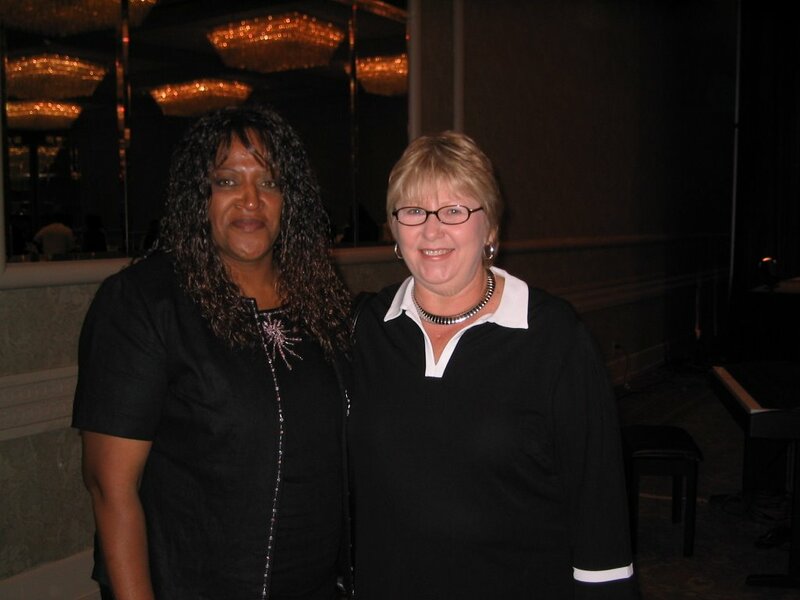 Since 1996, we have enjoyed a fast partnership with the Dallas Housing Authority. The result has been a wide variety of community improvements and opportunties for low-income, inner city residents. After-school activities, technology education and employment training, legal services, community-based health and wellness initiatives, emergency services to families in crisis, college preperatory activities, summer employment for teens, and affordable housing and econonomic development--all has emerged from our close working relationship with DHA. Ann Lott, DHA's CEO has been one of our most committed partners. When we expanded our community development efforts to San Antonio, the partnership process kicked in there as well. Our first and most important partner in that new city for us was the San Antonio Housing Authority. More recently we have been engaged with the City of Dallas as we worked out details of our downtown workforece housing re-development plans. Our City Council have been extremely helpful to us in a number of ways. Hopefully, they feel the same about us! For years we have worked very closely with the Dallas County Commissioners Court and our County Judges--first Lee Jackson and more recently Margaret Keliher. We are currently working with Judge Keliher on a very creative housing development plan. The list could go on and on and is almost without limit as I think about it here. I know I have left some important partners off my list--please forgive me, but I can't keep up with it anymore! We also have learned the benefits of helping other non-profits in whatever way we can. Our LAW Center has become expert at assisting groups obtain their non-profit incorporation. On more than one occasion our decision to assist another non-profit or some other partnership or quasi-organization has eventually led to our own dramitc expansion. Then, it is important to remember that little things matter. We return every phone call. We thank every donor--be the donation time, funds or advice. The amount doesn't matter. A $1 gift receives the same response note as a $10,000 gift. As hard as it is to believe on some occasions, we believe there are no wasted meetings. We try hard to listen to everyone. We watch our community because we know the people closest to the streets and neighborhoods know best. We "go to school" on our low-income friends every day. Holding resources loosely and allowing them to flow through our hands for the benefit of the larger community is a strategy and a tactical decision that almost always correct, even when it seems counter-intuiative. On a small bulletin board in my office I have posted a magazine advertisement I tore out years ago. The ad is a photograph of a man standing on a city street in an expensive navy blue suit. His shirt is smartly starched and pressed. His briefcase in hand. He holds up a large sign. The message printed neatly in bold red letters across the face of the sign reads, "Collaborate or DIE." By that I know this wise man means "Find serious partners who will join you or you won't be long for this world!" Nothing could be truer in the city, especially if your mission is community development. One of the enjoyable aspects of my work is that I get to talk to people about urban issues and urban community development. I especially like the times I get to speak with students in university settings. Talking to students forces a clarity and a sharpness that otherwise would allude me. 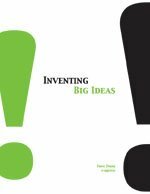 Over time I have developed a handful of ideas that I consider fundamental to nurturing community development in a social context dominated by poverty and its unique problems. This feels like an appropriate space to discuss some of these essential notions. Without a doubt this concept or, better, this commitment is the most important truth I have learned in the past twelve years. People possess the power, the capacity and the desire to solve their own problems, if they are given the resources they need and the opportunity they crave. People don't need help nearly as much as they need a chance. I bump into this reality every day. Years ago, my role at Central Dallas Ministries was much different than it is today. When I first came here in 1994, I was spending five-days-a week interviewing low-income people in our Food Pantry. On Sundays, I was out in churches begging for money and volunteers. I wasn't doing very well on either ask because we were always short on both! Back then, all of our volunteers drove in from suburban or Park Cities churches and neighborhoods. Everyone who volunteered was white. All of the material resources were on one side of the equation. All of the need was on the other. Relationships with the community always felt pretty much "one down." You know, paternalistic, neo-colonial. One day my world and the world of CDM changed in a moment. I found myself facing three Hispanic mothers with their beautiful children. The three women were perfect strangers to one another and to me. Not a very "professional" way to do "social work." But then, I've never had a social work class in my life. The only time I've even been in a social work class was when I taught one at Pepperdine University last fall. But, back to the women. These three delightful people were attempting to combine their limited English to overcome my absolute stupidity when it comes to speaking Spanish. We weren't getting too far. As we sat there in growing frustration, Josefina Ortiz, an older woman who had already been interviewed and assisted, walked by. I stopped her and asked if she could help me. I learned then, and have learned many times since then, that this is a very important question for "helpers" to learn how to ask those they seek to "help." She replied that she would be very happy to help me. She sat down with us and translated the conversation. As a result, we were able to provide the assistance the three families sought. As they were leaving, I turned to Ms. Ortiz and began thanking her profusely, still not realizing what an asset I had right in front of me. "Larry, I could come back tomorrow and help you." I told her that would be great because, as she could see, I needed the help! Josefina came back "tomorrow" for nine years. That afternoon when the pantry closed, I returned to my upstairs office. As I was looking out my large window on the "crack house" next door, I received a very clear message. The message was in two parts. First, I was told that I was dead wrong about the neighborhood. Even though I thought I knew what it needed, I couldn't possibly know. Second, I had been wrong to look at the community only in terms of need, especially material need. I should look at the neighborhood in terms of its assets. And, I should realize that there are all kinds of asset besides the material variety. Immediately, Josefina's face came to mind. The lesson was so clear. The truth so obvious. Over the next forty-five days we set out to change our organizational culture and change it quickly. Every person who came through our doors was encouraged to talk not just about their needs, but also about their assets. Further, we invited every person who came to us to return and serve the community as a volunteer. Almost overnight we had more volunteers than we knew what to do with. We lost almost all of our suburban volunteers. We now have several hundred volunteers in our database and 99% are community people who continue to access our various resources and services. People from outside the community who were our supporters questioned our sanity. "Looks like you have the lunatics running the asylum," one dedicated supporter told me with a smile. "These people will steal you blind," I was told in countless ways, again and again. "You know, you are correct. In this business you're going to have some theft. But, I've noticed that it is one of two kinds. It's either canned corn or human dignity. I'm going with the canned corn cartel!" Over the years we've stayed with this model. It is the one essential, fixed, non-negotiable ingredient in our mix here at CDM. Whatever success we have enjoyed is directly related to this approach and to the principle of "people power" back of it. Our volunteers run our Resource Centers, both on Haskell and inside Roseland Homes. This amazing group of people serves as a 24-7 "think tank" of sorts. Every idea, every initiative, every response to poverty has arisen from the collective and individual wisdom expressed by these amazing people. There is no way for me to overestimate their importance or their continuing impact. Talk about wealth! Social capital and collective efficacy continue to transform everything about our efforts to re-invent and develop community in inner-city neighborhoods here in Dallas and in San Antonio where we have a sister organization. If you mission is to grow community then. . .
. . .People cannot be treated as projects. . . .People cannot be treated as problems. . . .People cannot be treated as "opportunities for ministry." . . .People cannot be treated as if they should be disconnected or disengaged from the primary process at work. . . .People must not be seen as clients. . . .People must be trusted and valued as they are, for who they are. You see, transforming truth is quite different. The truth is, people are my neighbors and I am their neighbor. The truth is, people, all people are powerful. The truth is, people are beautiful, promising, full of wonder and great, great potential. People power--it is the only place to start, to live, to conclude. A house does not make a home. "Home" usually involves a state of mind resulting from lots of other factors. You know, stuff like love, relationships, meaning and purpose in life and hope. Lots of single people enjoy the benefits of "home," even though they spend many hours daily alone. Sadly, many large families share housing, but have no sense of being "at home." Admitting all of this, I still need to recognize the fact that it is hard to arrive at "home" if you don't have a house! Recently, I read a story about the growing number of people, many with children, who live in their cars because they have no permanent housing. Most of these folks find themselves temporarily without a roof over their heads. Forced to spend the night in their cars, they find all sorts of ingenious ways to remain "at home" in their cars without being detected by friends, work associates or authorities. The same story reported on a national study that found a person earning minimum wage ($5.15 an hour) and working full-time could not afford a one-bedroom apartment at market rates in any city in the United States. While "home" is not about housing only, it must be the case that without the basics in housing it will be very, very difficult to maintain any real sense of "home" for long. Most of us, myself included, would do well to think about these facts of life in the U. S. A. as we come and go from our houses. You'd think we could do better by one another than this. 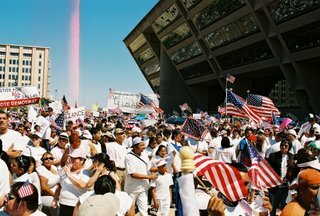 Photos cannot possibly capture the events surrounding "the Mega March" through Dallas on Sunday that raised awareness concerning immigration issues and the current political reality in our nation. Janet Morrison, Director of Children's Education here at Central Dallas Ministries, shared these photos with me of her experience on Sunday. The sheer size of the crowd revealed something about the nature of our current immigration challenge. The nature and disposition of the crowd revealed a great deal about the character, determination and quality of the people seeking recognition and, in many cases, citizenship. The colors and the overwhelming presence of white shirts stamped the images of the day on every heart. The streets of Dallas were packed with people and with hope. The event and the day were amazing. I walked in the Mega March on Sunday. 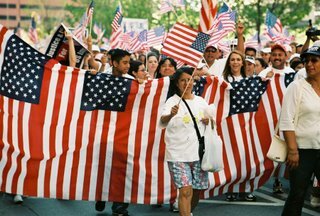 I was certainly not alone--somewhere between 350,000 and 500,000 people took part in the amazing show of concern over current discussions in our Congress about immigration reform. A month or so ago, the 109th U.S. Congress put forward H.R. 4437: Border Protection, Antiterrorism, and Illegal Immigration Control Act of 2005. The legislation would make it a felony to be in the country without proper documentation. In addition, the bill would also make it a felony punishable by prison time and stiff fines for anyone to assist those here without proper documentation. 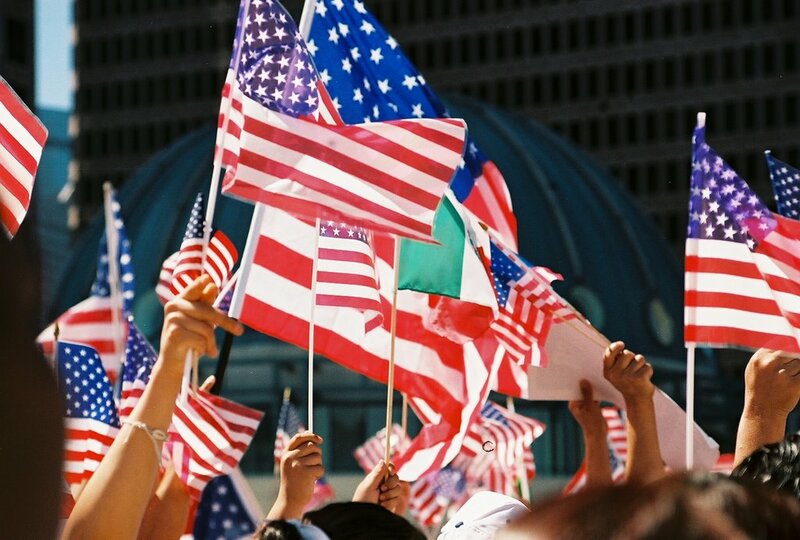 Late last week the U. S. Senate failed in its attempt to pass a much more open immigration reform bill. The combination of the Senate's failure and the passage of H. R. 4437 turned the crowds out and into the streets. The march was an amazing experience. This march was a family affair. Mothers, fathers, grandparents, children of all ages walked hand-in-hand through the streets of Dallas from the Cathedral de Guadalupe to City Hall. But, most importantly, they were together. Even though almost half-a-million people gathered, the Dallas Police only had to make one arrest according to last night's news report. The experience was amazingly orderly, polite and patient. Even though it turned out to be a very warm spring afternoon and the crowded conditions had us packed from curb to curb as we walked, no one lost their cool. The peaceful nature of the march bordered on the surreal. It was clear the police (who were everywhere) enjoyed themselves--laughing and speaking to the participants. It seemed they were amazed by it all as well. I don't think I have ever seen as many American flags at one time or in one place before. It was very clear that everyone understood what is at stake in the current immigration debate. The signs that people held and the slogans they chanted--particularly the strong "U. S. A." cheers--made it very clear that I was spending the afternoon with people eager to become American citizens. A number of the signs and posters referred to work, labor. One sign read simply, "We are willing to do the dirty work." Another read, "Immigrants pay taxes too!" When we arrived at the plaza in front of City Hall, there were speeches by a number of local Latino leaders. 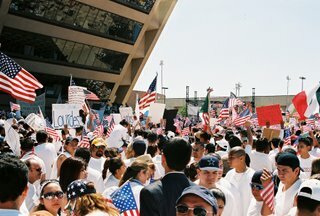 The crowd fanned out across the area and back into Downtown Dallas for as far as I could see. The photos in today's Dallas Morning News will surprise people, I know. At one point the classic rock anthem, "Coming to America" blared out across the crowd. People shouted for joy and everyone tried to dance! As I walked out of downtown yesterday, a couple of things were very clear to me. Congress, especially the House of Representatives, has a problem. There is simply no feasible way to send millions of hard working people with families out of the country. And if it were possible, why would we want to lose people like this? We need people like the ones I marched with yesterday afternoon. There is nothing new here. People like these immigrants built our nation. They are no different than my Scotch-Irish ancestors. The presence of us all explains the magic that is America. I saw it again yesterday on the streets of Dallas. As I drove out of downtown this morning after speaking to a center city congregation, I witnessed preparations for today's "Mega March" here in Dallas. All across the nation, Hispanic/Latino individuals and families will be in our city streets expressing their concern and disgust at one version of immigration reform being put forward in Washington. If immigration is "out of control," as many are saying, who is to blame? The immigrants who make the hard journey across our southern border? Business leaders/owners who want to take advantage of cheap labor? Ordinary citizens who hire the immigrants to perform work they don't want to do themselves? Immigration and Naturalization Service for backing off enforcement practices over the past several years because of the demand for cheap labor among American companies? The Social Security Administration and the Internal Revenue Service for not enforcing immigration laws against American businesses who employ the workers who don't have legitimate Social Security documentation? While it is true millions of immigrants have arrived in violation of immigration laws, the actions and business practices of American citizens and government make these violations almost a technicality. The preponderance of the "blame" cannot be affixed to mothers and fathers who came to our country looking to build a better life in clear response to well-known market conditions, supported by the actions of our government and American industry. But all of that aside, I witnessed several touching sights this morning. Mothers and fathers, walking hand-in-hand with their children, were on their way to the Cathedral de Guadalupe where the march is set to begin at 1 p.m.
Everyone was smiling. White shirts were everywhere, as were American flags. I saw one dad and his little boy walking toward the starting point. As I honked and waved, they waved back with wide smiles. 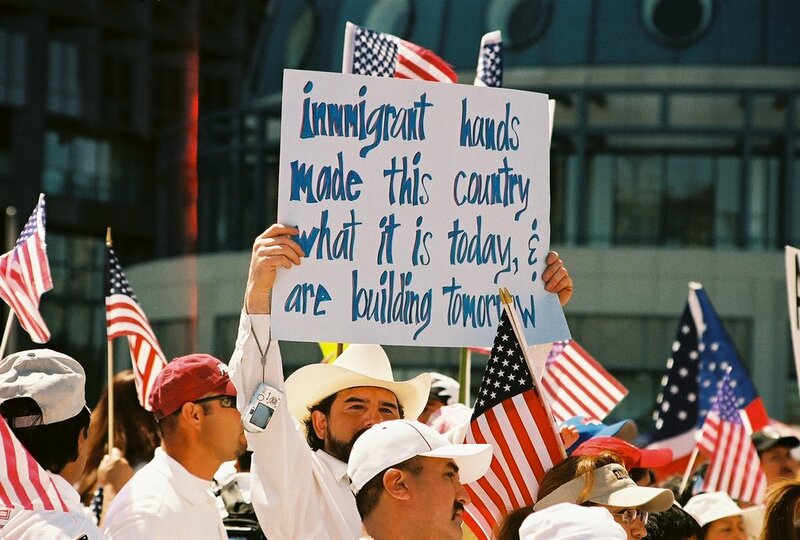 We must not forget the people and the families as we continue this conversation about immigration reform. No conversation can be adequate without their involvement. We have a situation that has gone to far in one direction to think that now we can yank things back and instantly do away with 11 million people. 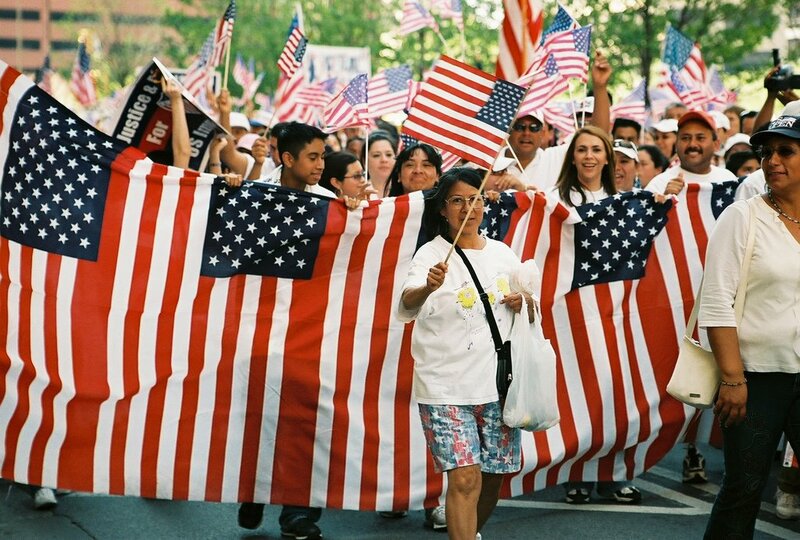 . .
. . .people who have earned the right to become a part of our national life. Think what you will about immigration reform. Have your own opinion about the marches today. But, please don't forget the dad and his little boy that I waved to this morning. On Tuesday, April 18, 2006, beginning at 7:15 a.m. in the Grand Ballroom of the Hilton Anatole Hotel here in Dallas, Central Dallas Ministries will host our 11th Annual Urban Ministries Prayer Event. 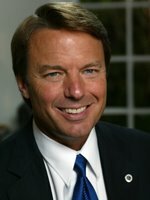 Our speaker will be former Senator John Edwards, who currently serves as Director of the Center on Poverty, Work and Opportunity at the University of North Carolina's School of Law. The event promises to challenge and inspire us all. Our conversation will focus on the rising number of children who go without meals in the summer, and we will highlight the work of the Nurture, Knowledge and Nutrition program. This summer, NKN will provide over 250,000 meals to children throughout Dallas. To learn more about NKN, please visit: www.CentralDallasMinistries.org/NKN. Join us to learn how your church, school and company can get involved in this free program. Please RSVP to LeAnne Riley at 214.823.8710 or lriley@centraldallasministries.org. Yesterday the Dallas Observer carried the following story regarding our Community Diabetes Education initiative here at Central Dallas Ministries. I wish you could meet Helen Rodriguez-Farias. Her work is saving lives, literally. I thought you would like to read the report. Its just after lunch on a warm Wednesday in March, and Helen Rodriguez-Farias is seeing her third patient of the day. The nurse beside her, whom Rodriguez-Farias is training, pulls on a pair of gloves and preps the needle. She says something in Spanish to the patient and pricks the woman’s finger, drawing blood. The woman smiles, says she had a Coke this morning. If her blood sugar’s high, that’s the reason. Rodriguez-Farias nods and jots down the woman’s blood sugar. It is still high but has dropped considerably since her first visit to the clinic a few months ago. The woman, a 35-year-old housekeeper named Angelica Lopez, has Rodriguez-Farias to thank for that. Rodriguez-Farias is the community health worker at the Central Dallas Ministries clinic here on North Peak Street, not far from Baylor hospital. Several times a day, she helps women like Lopez manage their diabetes through an innovative program that is unlike any other in the country. Diabetes has been called the Rodney Dangerfield of diseases because it gets little respect when compared with killers like AIDS or cancer. 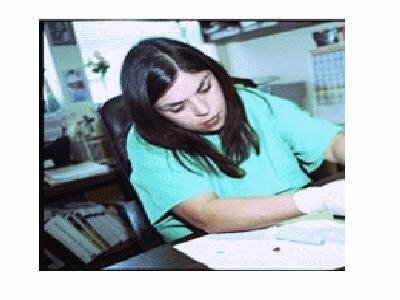 While Type II diabetes (which does not require insulin shots) can be effectively managed through proper medication, diet and exercise, it can lead to blindness, amputation or death if ignored for too long. In urban areas like Dallas, diabetes is growing faster than any other disease, especially among segments of the Hispanic population. In fact, one in every two Latinos born in the United States in the last five years is expected to become diabetic, according to the Centers for Disease Control and Prevention. There are several reasons for this—genetics, diet, poverty—but one of the main reasons the disease is growing among poor Hispanics, specifically among illegal immigrants, is that without insurance, it’s hard to find adequate medical care. And those hospitals that do treat the uninsured, such as Parkland, do not treat patients without a Social Security number. Enter Rodriguez-Farias and the CDM clinic. The clinic, which has three full-time doctors and a small pharmacy, is one of the few places in the city where illegal immigrants can go for health care. 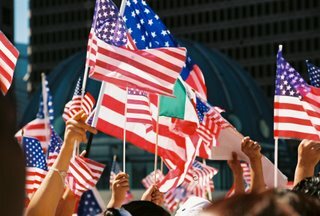 What makes the clinic truly unique, however, both in Dallas and in the United States, is that it does more than dole out medication to undocumented immigrants who have diabetes. It also teaches them how to manage the disease. To this end, Prezio and several other doctors started a program called CoDE, or Community Diabetes Education, at the CDM clinic in July 2003. The program’s goal was to teach the clinic’s diabetic patients to manage the disease. That’s where Rodriguez-Farias, the clinic’s diabetes educator, comes in. As the clinic’s educator, Rodriguez-Farias meets with diabetic patients three times during the first six to eight weeks after diagnosis, teaching them how to measure their blood sugar at home and how to make changes to their diet and lifestyle. If, over time, a patient is not getting better, Rodriguez-Farias will try to figure out what the problem is with the help of one of the doctors downstairs. Today is Lopez’s second appointment. Rodriguez-Farias asks her what she ate for breakfast and lunch. Three tortillas, an egg and a banana shake, Lopez says. Rodriguez-Farias raises her eyebrows. A banana may seem healthy, she says, but it is loaded with sugars and carbohydrates. It may be the reason Lopez’s blood sugar is a bit elevated. Lopez nods. To make her point, Rodriguez-Farias pulls out a picture of a festering wound on the bottom of a man’s foot. “Do you see that?” she asks, pointing to the red, pus-filled center. “Those are maggots.” Lopez winces. High blood sugar makes it hard for cuts to heal, Rodriguez-Farias explains, and diabetics must check their feet regularly or small wounds can end up infecting the bone. In this case, the man ignored a cut for too long and had to have his heel amputated, then his foot and then his entire leg. Most of Rodriguez-Farias’ patients—she has more than 200—are women like Lopez. Almost all of them have Type II diabetes. Some of Rodriguez-Farias’ patients have been visiting her for two years. If they want, they can visit her indefinitely. But Prezio wants more than anecdotal evidence to prove the effectiveness of her program, which is why a study is under way to prove that those who visit the clinic and enroll in the education program do better than those patients who don’t. “So far we have data for six months, and the education group is doing much better than the other group,” Prezio says. The goal, she says, is to expand the program to other area clinics that serve the uninsured and the undocumented. It’s something Rodriguez-Farias wants to see happen. Her dad died from diabetes at the age of 54 and suffered for decades from complications related to the disease. “If he had been a part of a program like this one, I’m sure he’d still be alive today,” she says. And immigrant wives, many mothers. As people consider evening meals. Of friendly resignation mixed with joy. In a place longing for justice. Faith seeks a better day and season. Whispering, hunger will end, someday.